D12 (also known as The Dirty Dozen and D-Twizzy) are an American hip-hop group originating from Detroit, Michigan which have had albums reach the top of the US, AUS and UK album charts - Devil's Night in 2001 and D12 World in 2004. D12 was formed in 1990, but they only achieved mainstream success when their most accomplished member, Eminem, had risen to international fame and notoriety in the early part of the 21st century, although D12 had been a powerful force in the underground rap scene for several years prior. Bizarre, aka Peter S. Bizarre. Proof formed D12 as a rap collective of local Detroit MCs including Bizarre, Eminem, Eye Kyu, Killa Hawk and Fuzz. Charging Soldier was in the group briefly, but was kicked out due to arguments with other members. The group was a loose collective in the vein of Wu-Tang Clan. Several members began making names for themselves in hip hop during the late 1990s. Bizarre was named Inner City Entertainment's "Flava of the Week". He would also release an album entitled Attack Of The Weirdos and become a member of Tha Outsidaz with Eminem and Rah Digga. Proof won a freestyling competition run by The Source in 1998. However, it was as a solo artist that D12 member Eminem found success. All of the members of D12 have aliases and Eminem chose Slim Shady as his. He recorded an independent EP called The Slim Shady EP in 1997 that caught the attention of famed rap producer Dr. Dre and Interscope CEO Jimmy Iovine, and soon signed to Aftermath/Interscope, releasing his breakthrough album The Slim Shady LP in 1999 which went on to be certified 4x platinum in the U.S.
Eminem's success persuaded Proof to establish D12 on a more permanent basis in early 1999. Proof invited Bizarre, along with new recruits Kuniva, Kon Artis, and Bugz to join the group. Kuniva and Kon Artis were previously part of Da Brigade. However, Bugz died in Detroit on May 21, 1998 as a result of a shooting, leading the group to accept Swifty McVay to take his place. Each of the current members of the group wear a tattoo of Bugz's name in his honor. The tracks "Good Die Young" and "Bugz 97" (the latter of which features an appearance from Bugz) on D12 World were recorded in his memory. The six members of D12 signed a contract with Eminem's Shady Records and Interscope in 1999. The fact that D12 rose to prominence after Eminem, led many people to assume that the other members had less significance in the group - this would be the concept of the group's 2004 hit single "My Band". Despite Eminem's prominence in the music industry, D12 insists that there is no frontman in the group and that Eminem is just another member. In spite of this, D12 began to tour as a separate entity to Eminem, a controversial move that could lead to confusion among concert-goers who may have thought that they were paying to see Eminem as well as the other five performers. On April 11, 2006, Proof suffered a fatal gunshot wound to the head following an argument at the CCC Club on 8 Mile road in Detroit. Proof's death reduced the number of members in the group to 5 and leaving them with the choices of disbanding, recruiting a new member, or carrying on as a 5 man group. Violence claimed the life of another member of D12 on April 11, 2006, when Proof suffered a fatal gunshot wound to the head following an argument at the CCC Club in Detroit. However, Denaun Porter AKA Kon Artist has recently announced the remaining members of the group will continue recording their new album once Swift, (another member) is released from jail next month. He also announced that they intend to use recordings made by Proof before his death. "Fight Music", featuring Ice T, Angie Martinez and Fat Joe in its music video, reached the UK top 20 and Australian Top 40. 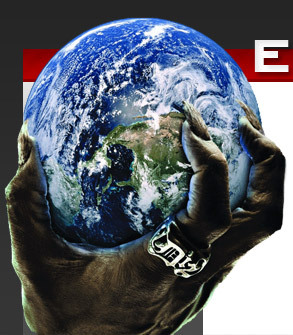 The group's second album was D12 World released on April 7, 2004 featured production by Dr. Dre, Eminem, Kon Artist and Kanye West, with guest appearances by Obie Trice, on "Loyalty" and B-Real of Cypress Hill on "American Psycho II." It debuted at the top of the US, UK and Australian album charts and number 2 in Germany, selling over half a million records in its first week of release in the US alone. "My Band", the first single, also has been successful reaching number one in Australia and the US rhythmic top 40, top 5 in the UK and Germany and top 10 on the Billboard Hot 100.